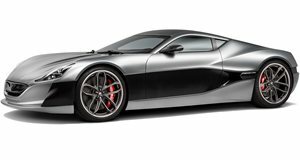 After making its official debut earlier this month at Geneva, Rimac’s all-new C-Two all-electric hypercar is nearly sold out. Rimac confirmed this bit of information to Autocar. We're not surprised. With a 0-60 mph time of 1.85 seconds, 0-100 in 4.3 seconds and a top speed of 258 mph, production is set to get underway later this year. Only 150 examples are planned. Given the success of its even more production-limited predecessor, the Concept One, anxious buyers must have been more than happy to shell out an estimated $2.1 million to snag one. Can’t blame them. Remember, not only is the C_Two an EV hypercar, but it has advanced autonomous capabilities. There are a total of eight cameras, a lidar, six radars, 12 ultrasonic sensors and GPS. It even offers some AI technology with its facial recognition cameras that can unlock and start the vehicle without a key. Despite all of these new technologies, the C_Two is still very much a true hypercar. It features a double wishbone suspension with electronically adjustable dampers and active ride-height, front diffusors, rear diffuser, rear spoiler and underbody inlets and outlets. It’s also globally homologated, including the US. There’s an electric motor at each wheel allowing for all-wheel drive. There’s also a pair of independent single-speed gearboxes that drive the front wheels. The rear wheels receive a pair of two-speed carbon-clutched gearboxes. All four motors, however, work in sync thanks to a torque vectoring system. Carbon-ceramic brake discs and six-piston calipers are attached to each wheel. Given all that, we wouldn’t have shocked to have learned the Rimac C_Two was sold out by the time Geneva wrapped up.